A COUNCILLOR IN Kildare has resigned from Sinn Féin, claiming that bullying within the party had left her with no other option. 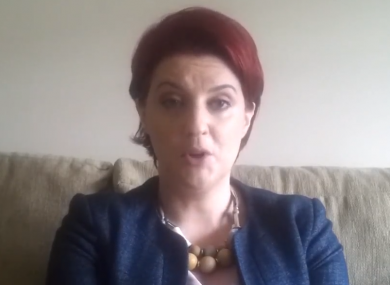 Sorcha O’Neill, who is based in Naas, resigned on Friday morning. Four other members of the party resigned at the same time. A spokesperson for Sinn Fein acknowledged that there were “difficulties” which the party is dealing with. “We regret that Councillor Sorcha O’Neill has decided to leave the party,” the spokesperson said. The party spokesperson refused to comment on the resignations of the four other members. O’Neill plans to remain on as an Independent councillor. Source indicate two additional members have withdrawn from Naas structures but will remain on as card-carrying members of the party. O’Neill was elected as a member of the Naas Municipal District of Kildare County Council for the first time in May 2014. She exceeded the quota and was elected on the first count. Email “Five Sinn Féin members resign in Kildare over allegations of bullying”. Feedback on “Five Sinn Féin members resign in Kildare over allegations of bullying”.